Around the Town Heating & Cooling Inc. is Chicago’s top heating and HVAC contractor. They’re advising customers to schedule air conditioning maintenance as soon as possible because of limited supplies and high demand! Around the Town Heating & Cooling is recommending customers to schedule for air conditioning maintenance as soon as possible, to help ensure that customers will enjoy a cool, comfortable summer. Around the Town Heating & Cooling also provides a FREE estimate on new installations, and offers professional technicians on call 24 hours a day to diagnose your central air conditioning unit for a $79.95 diagnostic fee. A well-maintained air conditioning system is not only more energy efficient, but is better for you! Since allergies are on the rise during the summer months, customers with poor-quality air risk health problems without a properly maintained AC system. Around the Town Heating & Cooling also offers a full line of indoor air quality products such as humidifiers, thermostats and electronic air cleaners. When talking long term, investing in a great air conditioner also has added financial benefits. An air conditioning system that’s properly maintained throughout its use can be expected to last much longer than one that receives little or no maintenance. In addition, newer air conditioning units are better on energy savings and lower electrical power consumption overall, meaning that customers will save money on their investment over time. Around the Town Heating & Cooling is now available to schedule air conditioning system maintenance appointments throughout the Chicago land area. Visit https://aroundthetownhvac.com or call (312) 243-9896 to learn more. 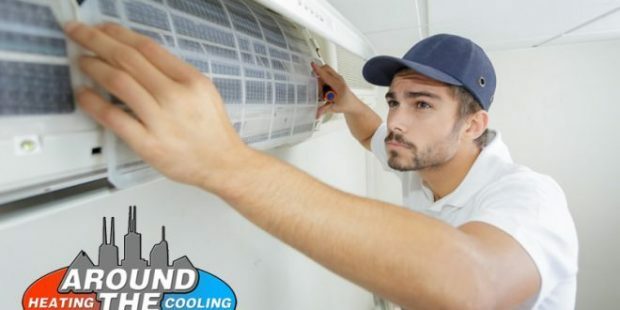 About Around the Town Heating & Cooling inc.
Around the Town Heating & Cooling takes pride in being the most reliable air conditioning contractor in Chicago. Stressing kindness and quality customer service, every job completed is guaranteed to serve and satisfy the customer. Around the Town Heating & Cooling ensures that every job completed is affordable and done correctly.